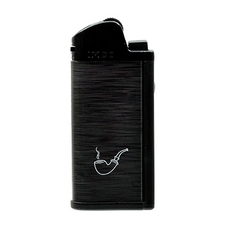 IMCO has been in the lighter business a long time — since 1918 in fact. Originally founded as a button and hardware manufacturer by Julius Meister in 1907, following WWI changes in market demands led Julius to convert the entire operation over to producing pipe and cigarette lighters. This in turn led to IMCO becoming one of the best-known makers of the old "trench lighter" (which used surplus cartridge brass for the fuel tank) — predecessor of the Zippo. 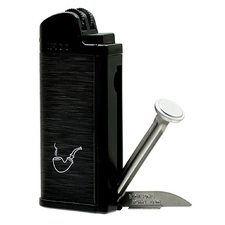 In this model IMCO offers something considerably more modern — not to mention lighter in the pocket, yet still offering plenty of butane capacity as well as a fold out tamper and reaming blade. I have one I've used for about five years,finish is somewhat worn, and it has never failed. Highly recommended. broked after 2months. useless tamper. I like IMCO lighters, but it is not. Poor quality. Stopped working after 2 months. Don't bother. Stick to the BIC.